The second Diaspora event has been organized by the Embassy of India, Berlin over the weekend at the Embassy in which many prominent members and Indian associations of Diaspora have participated. Many senior officers of the Embassy including Ambassador Gurjit Singh and consul generals of Frankfurt, Hamburg and Munich also took part in it. However, the main objective of the meeting was to discuss and deliberate on the common issues and how to evolve a suitable mechanism to progress further. It also aims to bring the Indian Associations representing various states of India in Germany under one umbrella. Numerous important initiatives have been undertaken by the Embassy of India such as launching of Indian Professional Forum (IPF) to give maximum advantage to the talents of Indian professionals and to engage them in promoting start ups. They were highlighted in the conference along with various programmes of MEA, particularly by the Overseas India Division. Several other programmes like Make In India Mittelstand (MIIM) were also highlighted in order to promote awareness. 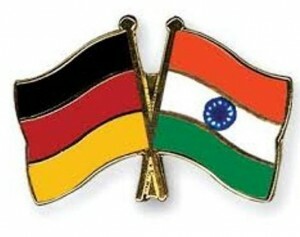 Moreover, to strengthen the relationship between India and Germany, Ambassador of India has also launched a new e-book. Two Indian clasaiscal dance programmes were also exhibited by Ms. Elina Mullick (Kathak) and Ms. Janani Suresh (Bharatanatyam).